HOLE IN ONE: Lois Mesner congratulates Lorraine Lindenmayer on her hole in one on the Par 3. 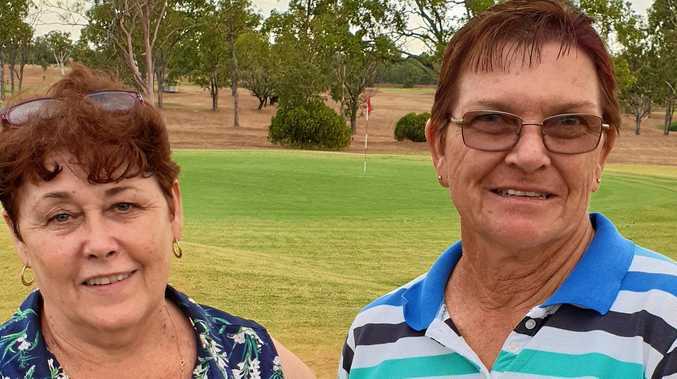 LORRAINE Lindenmayer has been playing golf for years at Mundubbera, has been named Ladies' Club Champion several times, but no weekend has been made quite as memorable as the one just passed. On Sunday, Lorraine made her very first hole-in-one. 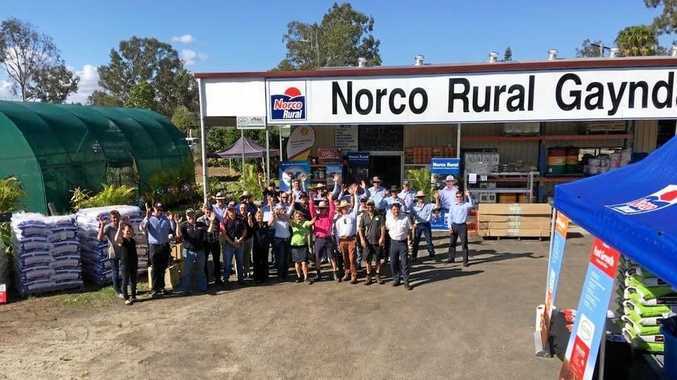 Mundubbera Golf Club President Lois Mesner said Lorraine was thrilled for her hole-in-one on the 13th hole, a par 3. "This is a golfer's dream,” Lois said. Sunday's event was a stableford competition and Lorraine won the ladies' category with 33 points, as well as the pin shot. Next week's competition is Monthly Medal. Col Cluff was the winner of Sunday's stableford competition with 37 points, as Dan Williams was the sponsor and didn't want to take his own trophy. Runner-up was Paul Carlyon with 36 points. Scott Wilson, on 18 points, won the Bradmans. Ball winners were Dan Williams on 39 points, Craig Postle and Wally Benham on 36 points, and Len Weier on 32. Craig also won the pin shot on 5. Christine Vicary was the ladies' runner-up on 32 points. Lyn Carlyon, on 30, was the ball winner. Daphne Williams won the pin shot on 5.